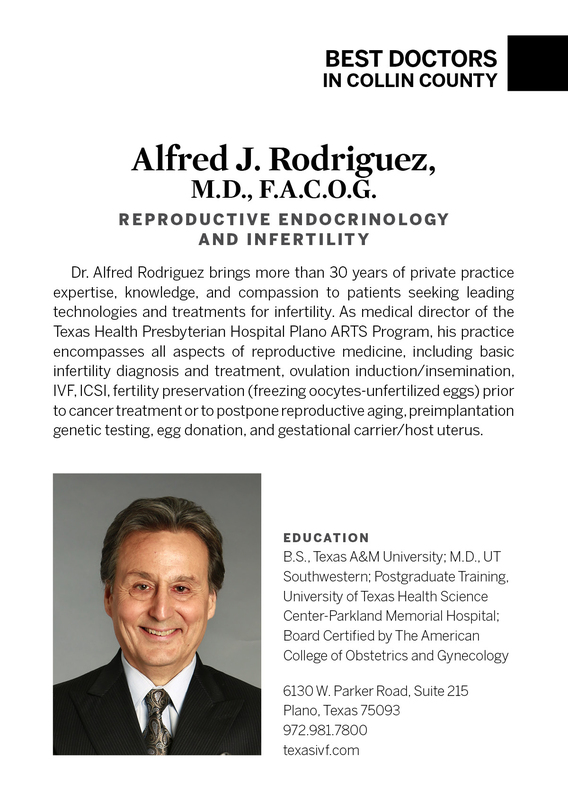 Dr. Alfred J. Rodriguez has built his reputation on care and concern for every one of his patient's needs – from basic infertility services to state-of–the-art procedures with In-Vitro Fertilization. Dr. Rodriguez currently is the Medical Director of the Presbyterian Hospital of Plano ARTS Program where he has practiced since 1996. Prior to 1996 he was the Founder and Medical Director at Southwest Fertility Center. 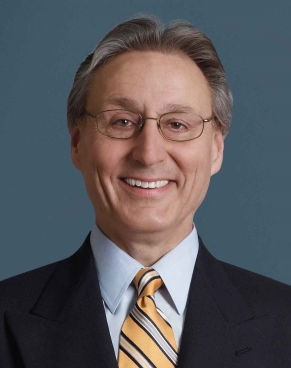 He has practiced reproductive medicine in the Dallas area since 1980. As the Medical Director of the Assisted Reproductive Technologies Department at Texas Health Presbyterian Hospital of Plano, Dr. Rodriguez' program takes pride in offering you complete ART services at our fully accredited laboratory staffed with technicians specializing in state of the art infertility techniques including IVF, ICSI, and PGD (pre-implantation genetic diagnostics). He is board certified by the College of Obstetrics and Gynecology and limits his practice to infertility and reproductive surgery. He is a member of American Society of Reproductive Medicine, the Society of Assisted Reproductive Technologies, and the Society for Reproductive Surgeons. He is a native Texan and has lived in Dallas with his wife and 2 children for over 30 years. Let us be a part of your choice to have a family….we will do our best for you! Please call our office at 972-981-7800 for an appointment, or click here to fill out our automated contact form which will be sent directly to our office staff. Read More About Alfred J. Rodriguez, M.D.